True hip hop head are familiar with the rapper Phonte yet may be accustomed to hearing him spit tight bars and witty metaphors and similes on a tracks as a member of Little Brother, or making guest appearances on a plethora of other mainstream and underground artists, but when he teams up with Nicolay in the group Foreign Exchange, he morphs into a crooner who still has that hip-hop swag. 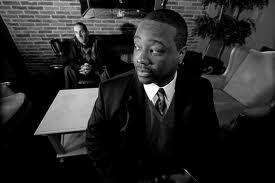 The actual video for the song, “I Wanna Know,” depicts Phonte having difficulties with his woman being dissatisfied with his actions, yet she does not verbally say what she “wants” from him or “wants” for him to do. As he prepares to hit the road for a show, she gives him the infamous “silent treatment;” nevertheless, she meets with her friends and openly discusses what the problem is and how the situation with Phonte is upsetting her. How often do people in relationships tell their friends and family what they want and need but never actually verbalize it to the person with whom they are in a relationship? In the chorus of the song, Phonte is tired of playing mind games and trying to figure out what his lady wants, so he takes the initiative and he clearly tells her what he wants, “(I wanna know) you’ll believe in me and keep away your pride.” Pride: is a necessary evil and one of the seven deadly sins that causes so many rifts in relationships. Do you let pride keep you miserable within your relationship and keep you from obtaining that happiness you once had? Think about why you decided a few months ago, a few years ago or even a few decades ago do start a relationship with this person. Phonte eloquently provides the reasons that represent my feelings. My husband “believes in me and keeps away his pride.” as I do “believe in him and keep away my pride as well.” I absolutely “can’t imagine life without him by my side.” Thus far, we’ve both “shared our hopes and all our dreams,” and I’m eager to see those hopes and dreams come into fruition. Lastly, people tend to not only take their loved ones for granted but the love that they give for granted as well. When is the last time that your thanked somebody for loving you or made an effort to display your love even more as a result of the love they have given and shown to you? Usually, one uses parentheses for phrases that are insignificant, and the most important information is outside of the parentheses. In this instance, Phonte, of Foreign Exchange, actually uses the parentheses for emphasis. Prior to each line, he sings in a somewhat falsetto tone “I wanna know.” This creates a since or urgency as well as desperation. These are requests that must be fulfilled to save the relationship. Yes, I agree. She does favor her. Don’t sleep on Foreign Exchange; many of their songs have some deep and relevant messages ; – ) Also, I absolutely agree with your stance. Communication is definitely the key!